St Helena – a truly breathtaking experience! On January 15th to 17th, the students of A Plus World Academy had the opportunity to visit St Helena. As we live on board a Norwegian tall-ship, S.S. Sørlandet, we really value our time in port and use it to relax, recharge, and connect with our families back home. We represent roughly twenty nationalities, and every single member of our 81-strong family describes St Helena as one of the places they would want to return to the most. From the day we set sail from Kristiansand, Norway in August we have been more than ten countries and St Helena was the highlight. Our lifestyle on board is certainly unique – but it generates a strong community. Amongst the people of St Helena, we recognised the same community values that are fundamental to ship life. In particular – caring for the people around us and being willing to help whenever someone is in need. St Helena was our first sighting of land after two weeks at sea since our departure from Walvis Bay, Namibia. Everything about our arrival was perfect, and after being kindly welcomed by the immigration officials, our passports were stamped, and we eagerly set off on our terrestrial adventure. At first sight, we felt like we had arrived in paradise. Everyone we met offered us directions, suggestions, and was interested to hear about our life on board. We answered with equal enthusiasm and returned the Q&A so we could learn about life on the island, and to find our ‘Big Three in Port’ ice-cream, internet, and an adventure. We were directed to the Mantis St Helena Hotel, and there we made our much-needed calls to our families and enjoyed a wonderful meal. We spent the next three days exploring this “hidden paradise”. Our time on the island went by far too quickly, but in our 72 hour stay we were amazed by the whale sharks, the beautiful nature, and above all the people who call St Helena home. Several of the students were able to go on a tour with Robert, and learned about the history of the island and take in the stunning landscape outside of Jamestown. Over the course of our three-day stay we climbed Jacob’s Ladder, visited Napoleon’s House, met Jonathan, and were overwhelmed by the kindness of the locals. The Sørlandet community would like to thank the people of St Helena, particularly the staff of the Mantis St Helena Hotel and Into the Blue, for making our time on the island so enjoyable. We all hope to return to the island sometime in the near future with our families in order to share the beauty we got to experience. St Helena is a truly remarkable place, and Sørlandet is so fortunate to have been given the opportunity to visit. Diving and discovering the hidden shores of St Helena. Matt Joshua, GM of Mantis St Helena, chats to St Helenian PADI instructor Anthony Thomas of Sub Tropic Adventures, Raf Jah of The Africa and Oriental Travel Company and Christopher Bartlett of Indigo Safaris. Anthony, how long have you been diving? I spent most of my spare time as a youngster in or on the ocean and developed a passion for it. I began my diving career at the age of 14 years, via a local certification at the time, and then completed my international certification at the age of 16 years, from which my dream of becoming a diving instructor began. In early 2000 I travelled to Cape Town to attend an Instructor Development Course and completed my PADI Open Water Instructor Course. I returned to St Helena and started my company Sub-Tropic Adventures. You must know St Helena’s waters like the back of your hand. What are your top five dive sites? Barn Ledge sea mount is east of James Bay and rises from about 55m to 12m. Here you see an abundance of marine life surrounding the mount including large Almaco Jacks, Black Jacks, Rainbow Runners, Yellow Fin Tuna, Wahoo, Devil Rays and Whale Sharks. A very popular dive and an excellent introductory dive is Long Ledge which offers a spectacular cave environment at 10m and an array of marine life. The ledge itself runs out away from the coast for approximately 100m to a depth of 18m and presents a wall dive with amazing natural features. Frequent encounters with Devil Rays and Green Turtles occur during our peak diving season between the months of January and June each year. There are many wrecks around the island, including The Frontier, a fishing vessel that was seized by St Helena Harbour Control as it was found to be carrying illegal drugs on board. The vessel was scuttled in 1999 and lies at a depth of 24m attracting an abundance of marine life, and some species which are rarely seen around St Helena. Torm Ledge is another seamount, this time to the West of James Bay, that rises from 45m to 10m and again has a tremendous amount of marine life, including Devil Rays and Whale Sharks, along with the beautiful endemic Flame Back Angel Fish. Speery Island is a small Island that lies about 500m off St Helena’s coast, with an average depth of 14m. Due to its location on the windward side of the Island, rich nutrients continuously pass through the small passage of a shallow reef which creates a colourful habitat of sponges and soft corals, also the endemic Nudibranchs Tamaja and Bornella can be seen here with a huge variety of marine species. Your name has become synonymous with all things marine on St Helena, and eighteen years on it’s clear your passion for diving is as strong as ever. Having logged almost 5000 dives and dived the length and breadth of St Helena’s coastline, my aim is to provide a safe and enjoyable experience to all who wish to embark on St Helena’s marine adventures. It is truly rewarding to see how others react when they experience the incredible marine life that I see and interact with regularly. Raf Jah is Director of The African and Oriental Travel Company. Raf visited St Helena earlier this year trying to cram in as many dives as possible during a week’s stay. Raf leads a St Helena dive tour each year – the next one coming up in February 2019. For more info click here or email info@orientafrica.com. How was your week on St Helena and how would you rate the diving? There are so many reasons to visit St Helena, but without a doubt, the greatest allure has to be the underwater world. When you imagine a subtropical volcanic island rising 800 metres out of the South Atlantic Ocean, you would be spot on to think it would be swirling with fish. St Helena catches the currents and is rich in its underwater pelagic life. As a subtropical island, the reefs are made of a rock base, but they are packed with life. Nudibranches, colourful reef fish and pelagics swarm all over the rocky outcrops. There are wrecks at all depths from 5-45 meters, and there are many walls and “fingers of rock” that attract schools of large Amber Jacks and tuna which are all visible in gin-clear 40m visibility. While it may not be on the maps of the big companies, nor on the spice routes of the more exotic dive destinations, St Helena is a world class dive destination. This small British Outpost is a haven of friendliness, barren beauty, lush forests and marine biodiversity. The time to dive St Helena is now. To crown the entire experience, St Helena is also home to schooling Whale Sharks for up to five months of the year. The whale sharks are both male and female and this is extremely interesting to scientists. The fact that they cruise by a dive and hang around divers in a docile manner is much more interesting to scuba divers. St Helena is so different to other dive sites, in that the Whale Sharks come and investigate the dives, and then lazily hang around the dive site, circling the dive boat. No St Helena dive trip would be complete without mentioning the Devil Rays that are found in the harbour just in front of Jamestown and on some of the other dive sites. It is not unknown for a Ray or two to play with scuba divers, cruising over their bubbles and circling back again to say hello. The Devil Rays of St Helena are friendly and graceful. St Helena is the only place in the world where male and female adult whale sharks are seen in equal numbers. Coupled with regular sightings of pregnant females, this has led to recent speculation that the island may be the species’ hitherto unfound breeding ground. Other than the Galapagos, it is the only place to our knowledge where you can frequently encounter adult whale sharks on a scuba dive. The biggest we have seen so far was a 13-metre mamma-to-be. Multiple encounters on a dive are not uncommon, and on snorkel trips seeing a dozen or more happens regularly in peak season. One of the big bonuses of diving on St Helena is that the huge range of habitats and locations are all within a short boat ride from Jamestown’s harbour, some directly accessible from the jetty, just a few minutes’ walk from Mantis St Helena. Right in James Bay, there’s the wreck of the 100-metre-long SS Papanui, which sunk after she caught fire in 1911 on her way to Peru, and is excellent for diving and snorkelling. Slightly further out, the 142-metre long RFA Darkdale, 47 metres deep, lost to a U-boat in 1941, is great for technical diving. The limestone cliffs on the leeward side of the island host some beautiful caverns, also packed with fish, many of which are endemic, and make for superb photo opportunities. Lava fingers running into the sea attract Chilean Devil Rays and pinnacle sites are home to schools of Rainbow Runner and Jacks. While Whale Sharks and wrecks are undoubtedly a big drawcard for visiting divers, there are other perennial and seasonal attractions. Humpback whales cruise by in winter, and three species of dolphin (Bottlenose, Spotted Pantropical, and Rough-toothed) are resident year-round in huge numbers. Indigo Safaris organises combined dolphin and bird-watching trips, where we get close to Black Noddies, Brown Noddies, Red-billed Tropicbirds, Fairy and Sooty Terns, Petrels, Brown and Masked Boobies and the occasional Pomarine Skua. Bird enthusiasts also get excited about the abundance of elsewhere-rare Java Sparrows, and the island’s endemic St. Helena Plover, known as the Wirebird, and the island’s own Moorhen. Are you ready to explore the blue plant? I’ve been back home in Scotland for just over a month now. I’m still pinching myself to make sure that I haven’t been dreaming – did I really, finally get to visit a place that had been at the top of my bucket list for so long!? Indeed I had – and to get to do two of my hobby passions while there was indeed the icing on the cake. What a tremendous island you ‘Saints’ live on. The variation in topography on St Helena is astounding. Derek Richards, of Island Images, took me out for a day trip one day. We were driving along a steep hillside, having passed Diana’s Peak and on our way towards Levelwood, when a distinct sense of deja-vu came over me. “Are these trees eucalyptus?” I asked him. “They certainly are” was his response. The scenery was identical to the hills in the Australian wine country north of Melbourne. I’d just started to take all this in, when we rounded a bend in the road and there, laid out in front of us, was what appeared to be a piece of the Colorado desert, just north of the Grand Canyon. This was just the beginning. Temperature-wise, Sandy Bay had no links with the Antarctic Peninsula – but in every other respect, it certainly did – “primeval” describes them both perfectly. It isn’t just scenery that makes the Island unique. History is one of my other passions. It goes without saying that astronomy is an especial interest for me in this respect, but so is anything to do with maritime activities. Over the years I’ve devoured everything I could find on James Cook, William Dampier, William Bligh and Joshua Slocum, among many others – even to the extent of sailing as crew onboard the replica of Cook’s ship Endeavour. Maybe that is why St Helena had entered my soul long before my visit. Indeed, even Edmund Halley, a polymath of equal ability (to my mind, at least) to the great Newton, visited the Island as a ship’s captain on the second trip after his well-known astronomical sojourn. Mention of Halley is perhaps a cue for me to get to the main raison d’etre for this blog. I’ve talked about two aspects of what I would like to call the “Holy Trinity” of uniqueness that St Helena has to offer the World – scenery and history. The third is the island’s night sky. I’ve been lucky enough to have visited dark sky sites in several places around the globe – and in my humble opinion, St Helena is right up there with the best. Anyway, that’s the starter consumed. On to the main course. The enthusiasm exhibited by all those who took part in the stargazing training sessions was both pleasing and infectious. The weather was by no means cooperative during my stay, but we did manage to cover all the objectives I had hoped to achieve – with one exception, of which more later. Attendees got to see the majority of the different categories of night sky objects, from star-forming regions (the Orion nebula) to the beautiful star clusters (the Jewel Box, next to the Southern Cross), and the brightest globular cluster in the whole of the sky which looks to all the world like a great ball of knitting wool (Omega Centauri). Finally the initial stages of a star’s death (Eta Carinae). The first concerns my only regret as regards to objectives during my stay – not being able to show the Island’s school pupils the night sky, courtesy of the weather. I’m confident that your sky guides will be take up the cudgel on their behalf. The second reason is to provide a nucleus of indigenous night sky skills for encouraging night sky tourism to the Island. The first is for those who know little of the night sky and have never had the opportunity to see either a dark pristine sky or the stars of the southern hemisphere. The Island is now equipped (in both personal skills and equipment) to meet this need. Choice of sites on the Island for this category need not necessarily be over-stringent. In my experience, the sky over the southern edge of Half-tree Hollow, just below Prince’s Lodge, beats anything that most casual observers will have seen before. In any event, tourists in this group will need prior introductory presentations on what they will be seeing in the sky, before proceeding to a practical viewing session. The availability of a lecture area and other amenities becomes a significant factor. The second is for more advanced amateur astronomers, who come specifically for stargazing as their primary activity. This is where sites like High Knoll Fort need to be considered. Perhaps the Island might think about holding an annual Star Party to attract such visitors. Attendance at all the main Star Parties in the USA is not confined to Americans only. Most have a significant number of overseas attendees. All of them have chosen good dark sky locations as their main attraction, in remote areas. In my personal experience, none of them can come close (figuratively- not literally!) to St. Helena – and besides, none of them can offer something else that makes the Island unique. In a year, it’s possible to see 95% of all the night sky visible from Earth. You would have to live bang on the equator to beat that. I’m honored to have been made the founding Patron of the St Helena Astronomical Society; may it prosper and become a force to be reckoned with in amateur astronomical circles. And finally, I’m tickled pink to have managed to talk to fellow radio hams in the USA and Canada from the seafront in Jamestown, using just a couple of collapsible fishing poles as antennas and a very low power radio. This was the icing on the cake – which is why it’s part of the dessert. Contact us should you wish to enquire about booking a Star Gazing experience, and create a tailor-made itinerary for your St Helena trip. I could barely sleep nor contain my excitement the night before I was to board my flight headed to St Helena. I had never heard about the Island when I was awarded the prize for professional conduct and exemplary leadership at Stenden South Africa, and so I rushed to get my hands on some pictures of the island off the internet. Now that I have returned I can comfortably say, pictures don’t do the island justice. It was an experience I will never forget! I hope to share this experience with you as best I can, but I am afraid that I too, won’t do the island justice. Mantis St Helena is situated in Jamestown, the island’s capital, and is a stone’s throw away from the boundless Atlantic Ocean. This charming hotel was my base for the duration of my 7-day exploration into the unknown. 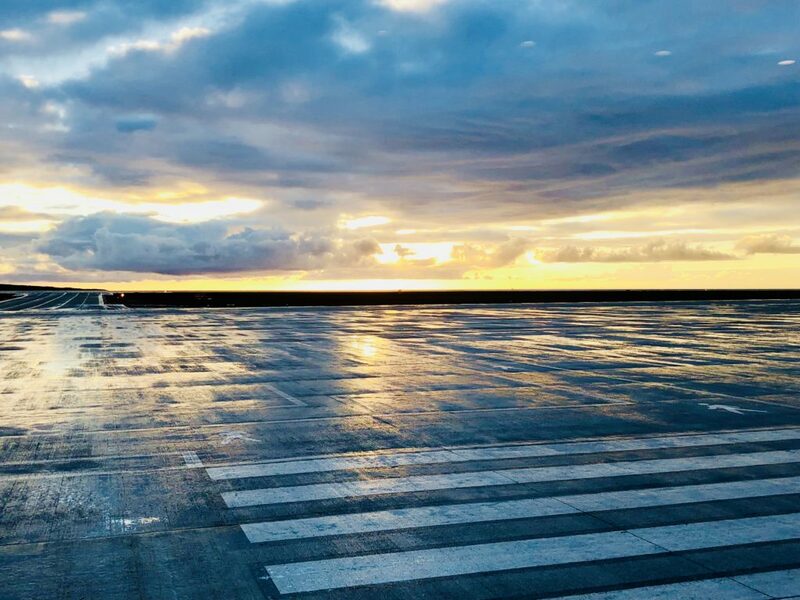 Upon arrival at the newly built St Helena Airport, the warm welcome I received from the local Saints and hotel staff put me at ease, especially since I was travelling alone. Once settled in at the hotel, I was able to take a deep breath and bask in all the glorious beauty that surrounded me and contemplate on what hidden St Helenian secrets would be revealed to me during my stay. Adventure is what I was after, and oh boy, that is exactly what I found! I was presented with an itinerary for the week and first on the list was a boat cruise with the opportunity to view whale sharks in their natural habit and then snorkel in the ocean among the aquatic life and ancient shipwrecks. From my experience, the mysteries of the Atlantic Ocean proved equal to the magic of the Island. Next up was a historical walk through Jamestown with Basil George; most appropriately referred to as the Island’s legend. I enjoyed learning about the dynamic origins of the island and the rich history it holds. On the walk, I met an individual who had lived down the street from me in South Africa before relocating to St Helena! It is indeed a small world. One of my best experiences on the Island was the 4×4 tour. There is no way I would have been able to experience the stunning scenery of St Helena with its unique vegetation and breathtaking views to such a degree, had I attempted to venture out on my own. The 4×4 tours are a must if you find yourself on the island! It would be an understatement to say that, at this stage, I was in total awe of St Helena. The next excursion on my agenda was a visit to the Plantation House, which is also the Governor’s residence. With a unique atmosphere and the chance to take pictures with 186-year-old Jonathan, who is the world’s oldest living tortoise, this was one for the books! During my time on St Helena, I got the opportunity to visit the local school, where I showed them a brief presentation about Stenden South Africa and the degrees on offer. I went on a tour of the school with some of the students and Matt Joshua, General Manager of Mantis St Helena, kindly organised an evening for me to meet some of the island’s youth who were my age. The evening was filled with laughter and stories of our upbringings, the Island and my experiences in South Africa. After having a few local brews at the bar, we decided to call it a night and catch up the next day. On Friday afternoon, I rejoined the ‘youngsters’ for a sundowner at one of the local bars, the Mule Yard – I was pleasantly surprised at how lively this charming bar was! As the evening was young, we moved across to Rosie’s, a local favourite, and then continued the fun at Donny’s bar. Both Rosie’s and Donny’s pumped with life, music and dancing. As I looked around in the early hours of the morning among people from multiple generations, I felt a part of the Saints. These are memories I will remember forever with friends I hope to meet again. This trip ticked all the boxes and never ceased to amaze me. It’s a must visit and bucket list destination for those who have never been and a definite return for those who have. Take photos – lots and lots of photos! Spend time getting to know the locals. Ask the staff at Mantis St Helena to help you put together an Island itinerary. I feel like part of the Mantis St Helena family now and will always remember this adventure, fun, and laughter-filled holiday with great fondness. St Helena’s history is rich and fascinating, spanning over 500 years. Discovered by the Portuguese in 1502, the island was possessed by the Dutch and then became British, initially under the East India Company, then The Crown. Until the opening of the Suez Canal, the island was of immense strategic importance for the British. Due to its location, the island played a vital role in the abolition of slavery, and because of its remoteness has been a place of exile for many, including 6,000 Boers, Chief Dinizulu, Bahraini Princes, and of course the island’s most famous exile, Napoleon. Napoleon was exiled to St Helena in 1815 and remained on the island until his death in 1821. His body was exhumed and taken to Paris in 1840. There are three main French-owned Napoleonic sites or Domaines Nationaux de Sainte-Hélène on the island: the Briars Pavilion, Longwood House and The Tomb. Mr Michel Dancoisne-Martineau, the island’s French Consul, has been the custodian of the properties since 1987. The Briars Pavilion was Napoleon’s first residence on St Helena and comprised the original house that was then called the ‘apartments of the three English admirals’ because it housed the commanders of the surveillance of flotilla. The rooms were extended after the Emperor’s departure. Napoleon lived at Briars Pavilion from October to December 1815 while the renovations to Longwood House were underway. Longwood House was Napoleon’s principal residence and the place of his demise. It is now a world-class museum and function space surrounded by beautiful gardens. Personally designed by Napoleon, the gardens were subsequently replanted and maintained for the last thirty years to adhere to his original concept. The French Government owns the land within the boundary walls, so when visitors step through the gate of Longwood House, they step onto French soil. Longwood House has many keepsakes of France’s great Emperor, most notably an abundance of artefacts and furniture, with much of the furniture painstakingly restored in Paris and recently exhibited at Les Invalides, now returned to the island. In anticipation of an order to bury his body on the Island, the Emperor chose Sane Valley as his burial place. He came to the tranquil setting on one of his walks and was delighted with the peaceful landscape and plants that grew there. Napoleon’s empty tomb lies here. 15 December 1840 – Napoleon’s ashes are returned to Paris where over a million people accompany the cortege to the Invalides. Between 2010 and 2014, the Fondation Napoléon, the Minister of Foreign Affairs and the Domaines Nationaux de Sainte-Hélène undertook the challenging restoration of Longwood House, at the cost of nearly 2.2 million Euros. Initially, the idea was to restore the generals’ wing of the House. Poorly rebuilt in the 1930s, this section of Longwood was in such immediate danger that the French Minister of Foreign Affairs dedicated an initial fund of 700,000 Euros. The Fondation Napoléon agreed to increase the sum by a further 700,000 euros. To amass funding, the Fondation worked alongside the Souvenir Napoléonien and the Fondation du Patrimoine (Heritage Foundation). Together, the partner organisations launched an international public fundraising campaign. The campaign closed on the 31st December 2014 and raised 1.4 million euros from around 2,000 individual donors. The honorary chief architect of France’s Historical Monuments directed a detailed historical and architectural study before commencing work on the General’s wing at Longwood House. Completed on time and within budget, the building was rebuilt and adequately protected from adverse weather conditions, with the interior structure being rearranged to cater for a range of functions. Since its reconstruction, Longwood House has held the collections of the Domaines Nationaux de Sainte-Hélène (engravings, paintings, furniture and historical artefacts), and the Gourgaud and Montholon apartments were returned to their previous use as the Domaines’ reception rooms. The remaining funds went towards restoration work which was as vital and as urgent as the architectural work. 32 historic pieces of furniture were transported to France for restoration then returned to Saint Helena. There are an additional eighty pieces of authentic furniture which were worked on in a workshop that has been set up in the old local stables for local furniture restorers. A specialist heritage restorer was explicitly sent from France to train trained all the local restorers. For this training initiative, the government of Saint Helena committed a subsidy of 100,000 Euros. The generous donations funded a few more projects including new signage across the Domaines and consultation to reorganise the management of the Domaines in preparation of the opening of St Helena Airport in June 2016. Further works comprised of the creation of new welcome documents, and the presentation of all the work undertaken in the form of a large exhibition – ‘Napoléon à Sainte-Hélène’ at the Musée de l’Armée in Paris (March-July, 2016). Each year on the 5th May, a ceremony to commemorate Napoleon’s death – or ‘Moment de Mémoire’ – is held at the Tomb. Various dignitaries, including the island’s Governor, the French Consul, and a representative from the Fondation Napoléon are present, and wreaths are laid by the tomb. During the ceremony there is an opportunity for anyone to lay a wreath; visitors to the island are invited to take part in this act of respect. There are mixed opinions about Napoleon, but his legacy is a significant part of St Helena’s tourism offering, and the Napoleonic properties are of great interest to the French and historians from all over the globe, some flying in for just 24 hours to pay homage to the renowned Emperor. Trace the footsteps of Napoleon with a bona fide Napoleonic French tour of St Helena from the 11th to the 22nd of October 2018. Voyagez sur les traces de Napoleon en 2018 will be hosted by Sainte-Hélène Voyage, visit the website for more information. The Briars Pavilion is open Wednesday and Friday, 10:00-11:00; Longwood House is open Monday to Friday from 11:00 to 13:00; The Tomb is open Monday to Friday, 09:00-15:00. Audio guides are available for hire at Longwood House for £2. It is possible to visit outside the official opening hours but only by prior arrangement by emailing BEPSP@helanta.co.sh The basic price for a private visit is £150. If the number of visitors exceeds six, an additional £10 per person will be charged. Mantis St Helena will gladly assist you in booking your tours. Contact us to arrange your itinerary. I have been a “fun” runner for quite a few years, never competing in events as I am one of those lone runners that love being out there, enjoying my own company and exploring different places on foot. We travel a lot, and I always pack my running shoes first – my poor long-suffering husband has watched as I have disappeared into the distance in some unknown destinations. I have run through remote villages in Zambia, Zimbabwe, Tanzania, Rwanda, Uganda, Malawi and other African countries. Almost got lost in Scotland, waded through the rice paddies of Vietnam and Cambodia, sweltered in Singapore and Antigua. I have dodged traffic in London, New York, Philadelphia and Ho Chi Minh City, to name a few. I have frozen in England and almost got blown away in Cape Town. Running has taken me on and off many a beaten track all over the world, but none of the places I have run quite compares with St Helena. I arrived on this remote, isolated Island in May 2016 and soon realised that running here was truly unlike anything I had done before. To say it is difficult is a vast understatement! The hills are so steep that it is illegal to ride bicycles on them! I must admit that I spent more time walking than I did running. My solitary brisks up and down the picturesque hills, valleys, peaks and mounds opened my lungs to the crisp, clean air and my heart to the stunning island of St Helena. I fell in love with this incredible place, without a doubt one of the most arresting landscapes I have seen. I was always in awe of her beauty, and it eased the pain of running. Every step presented a reward to the soul that far outweighed the ache in my muscles. After a few months, I decided that I would do my first ever marathon at the grand old age of 54 – I felt worthy of tackling this considerable challenge. I bought a Runners World magazine with a training program in it and stuck to it as best as I could to it. It was hard!! The 19th of November turned out to be a perfect running day, cool and wind-free. Seven of us lined up to compete in the full marathon and seven in the half marathon. There were only two women and five men and to be honest, each of us was running against ourselves hoping just to finish. The route is said to be one of the toughest marathon trails in the world, and I can attest to that. I pretty much ran on my own for the entire time with just a short period spent running alongside a fellow sufferer. The organisers looked after us very well and made sure we were well hydrated along the way. The route takes you from the school fields at Francis Plain through Dungeon, Lemon Tree Gut, Bate’s Corner, Diana’s Peak Road, White Gate, New Ground and to the very hilly area known as Levelwood – the name obviously intended as a sick joke on unknowing contenders. You will need to take brief moments to stare down at the beautiful vistas and most probably just to catch your breath after some of the trying ascents. At about 35km I knew that if I pushed myself, I could break the women’s record, so I gave it a shot. I finished in 4 hours 24 minutes and 16 seconds, breaking the record and coming in second. I have no doubt an experienced runner will break this in the not-too-distant future. The St Helena Festival of Running is a tough run, probably one of the toughest and certainly the most awe-inspiring. I am all the better for doing it and so proud to add to my repertoire that I ‘defied gravity on the slopes of St Helena’ too. Running the most remote marathon on earth should feature on every runner’s bucket list. The next St Helena Festival of Running takes place 4-10 November 2018 book your stay at Mantis St Helena. 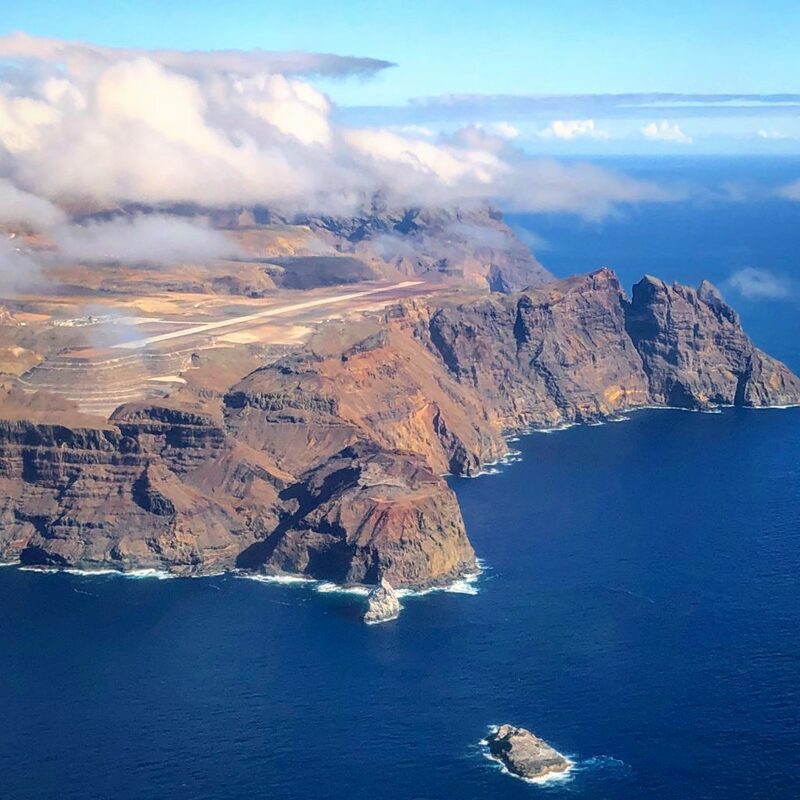 The remote and mysterious island of St. Helena has recently opened its airport to commercial flights. The beauty and culture of the island is now available for all to visit. I had wanted to come to St. Helena for a decade but didn’t want to take the now decommissioned RMS St. Helena because it was 5 days each way on the ship. So the airport made it a no-brainer for me and I couldn’t have been more pleased with my visit! Here is the essential St. Helena travel guide in order to maximize your stay on the island. 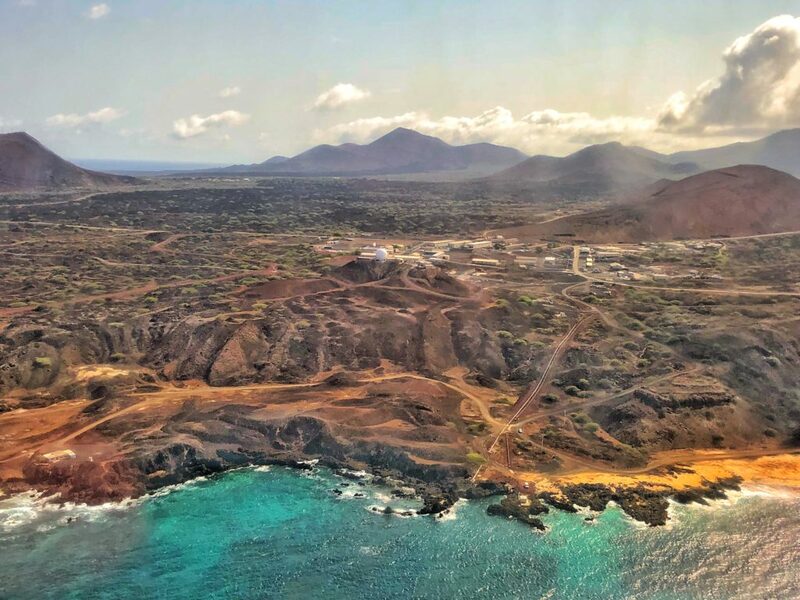 The second Saturday of each month the same Airlink flight does a very expensive continuation flight to Ascension Island-a further 2 hours from St. Helena. You must book this leg with the Ascension Island flight booking office via email. It’s annoying and time consuming but not that complicated once you get approved for the entry permit which you first need to buy the tickets. You also need proof of $500,000 in travel insurance coverage. This once a month flight gives you two options. First, you can get off on St. Helena on that Saturday and stay a night, as the flight to Ascension will spend that night on Ascension. Then you can board the flight back to Johannesburg via St. Helena and spend one night on St. Helena. 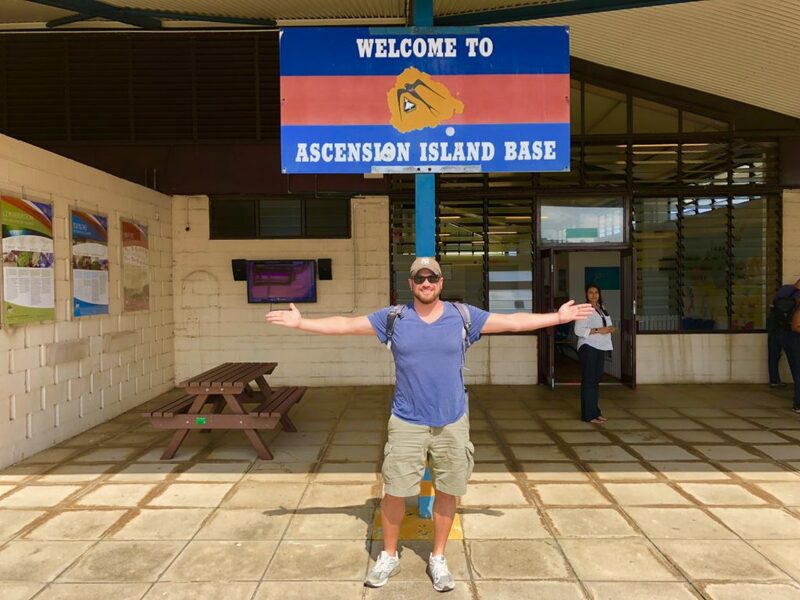 The other option is you can take the Airlink flight all the way to Ascension Island and spend a night there. Then you can fly back to St. Helena the following day (Sunday) and spend six nights on St. Helena. This is the only option if you want to see both islands and don’t want to spend a month on Ascension Island. Please note, at time of writing Airlink markets and sells a flight from Cape Town to St. Helena via Windhoek where you’re told you can meet the flight from Johannesburg. This is not currently possible because they haven’t been granted Fifth Freedom Rights by Namibia. This means that you cannot sell a flight from one country to a second country to join a flight to a third country. Basically, you must fly to St. Helena from Johannesburg as I learned the hard way when I was rerouted to Johannesburg from Cape Town at 5am; which made a very long day longer. I spent 6 months as part of the opening team of Mantis St Helena, an experience I can only describe as staggering. I arrived back in Cape Town on the 22nd of January and after unpacking and settling into my new abode, the first thing I felt compelled to do is to journal the life-changing adventure I had just returned from. I graduated with a Bachelor’s Degree in International Hospitality Management from the Mantis-affiliated Stenden University in South Africa in May of 2017. Shortly after that, I was fortunate enough to be afforded the opportunity to join the opening team at Mantis St Helena. Such opportunities are rare, so I grabbed this one with all four limbs and set off to the most remote island in the world. My role at Mantis St Helena was pre-opening support, setting up the property management and point-of-sale systems, and eventually grew to Front Office Manager once the hotel was operational on the 1st of November 2017. St Helena is situated in the middle of the South Atlantic and has a tropical climate. It is basically summer all year round with the exception of ‘Scruffy August’ in which you will experience all four seasons, sometimes four times a day. After being on the island for six months I was basically a local; what is affectionately known as a ‘Saint’, and could be spotted in the market flip-flopping about on my off days. Most people don’t have the luxury of spending six months on St Helena, so as impossible as it is, this is my shot at recommending how to make the best of your 7 days as a Saint (the affectionate term for the locals of St Helena) and experience St Helena’s natural beauty, cuisine, historical sites and amazing people. Airlink flies from Johannesburg to St Helena every Saturday. The shops will be closed by the time you check in but do not despair, they re-open at 18:00 and the town comes alive in the evening. You can go buy the toothbrush you forgot to pack at Warrens and a few other essentials; the most vital being charcoal, blitz, beer, and meat because the next day is Sunday – the best day for a barbeque on the island. Once I relaxed and blended in on St Helena, I found myself always in search of what the locals did, ate, and experienced. The best thing we can do to enhance our experience as sojourners to this mystic place is to follow the lead of the Saints, and hang out where the locals do. Fortunately for all of us, they are warm and hospitable people. Sundays are a big family day for Saints, and the fantastic tropical climate allows for the best seaside fun. Gather a group of newly made friends and travel companions and head to Rupert’s Valley. Arrive early in order to secure a good spot on the black sand beach. Get the fire going and take a dip in the warm waters which average at about 24 – 25 degrees Celsius. Head straight for the grill after your swim, and enjoy the festive ambiance of cheerful Saints doing the same all over the valley. By now I am sure you will be in full holiday mode, it’s time to switch it up a notch with Aaron’s 4×4 Adventure Tours. This is a thrilling experience, and a great way to see the island as you tour around it taking in the stark contrasts of arid land to thriving tropical vegetation – all on one island! If you’re really feeling adventurous, ask Aaron to go off-road to the best vantage points with the most stunning views. Sundowners at Rosie’s Bar are a must-do. Rosie’s is perched on top of Jacob’s Ladder in Half Tree Hallow. The bar is named after; you guessed it, Rosie – a wonderful host who creates a light and welcoming atmosphere. Order cocktails by the half-hour and enjoy a delicious dinner while you watch the sun fade behind the clouds and retire on the horizon. The pink hues of the sunset touch the landscape making for spectacular scenes, so don’t forget your camera. Booking is essential at Rosie’s Bar. Do make a point of meeting Basil George, the living record-keeper of Jamestown’s history. Go on a Historic Town walk with this living legend and he will take you through the Company Gardens and show you the clandestine entrance that Napoleon used on his arrival on St Helena’s wharf. Enjoy the tales and Basil’s in-depth knowledge of all the visits of great people who have set foot on the island; from Captain Cook to Charles Darwin and everyone one in between. He will also explain the various architectural influences on Jamestown as it passed through the hands of various conquerors. South African visitors; be sure to end your tour by paying your respects at the Boer Cemetery and visit the Boer Prisoner of War Camp Site. Believe me when I say that the town walk works up a real thirst! Take a taxi up to the Brewery which produces Tungi (pronounced ‘Toon-ji’), a local drink distilled from the Cactus plant found on St Helena. The brewery also makes Jamestown’s Gin and Sally’s Wine. Introduce your taste buds to these unique flavours found only on St Helena. Even outside of Whale Shark season there are great chances to see whales or dolphins on the St Helena coastline. You can book a cruise with the concierge at Mantis St Helena and head over to the Wharf steps to catch the boat. I was very lucky on my last cruise on the island and got a breach or two from our finned friends. Many have come to know St Helena as the place where deposed French emperor Napoleon lived out his exile after the battle of Waterloo in 1815. Longwood House was his place of residence until his death in 1821. Tour the house with audio guides which help transport you on a journey back in time. Step into the shoes of the iconic French military leader as you wander the halls and peep through the wooden shutters looking out for British spies. There are 21 Post Box Walks on St Helena with fantastic views over various landscapes, but I must recommend Diana’s Peak and a swim at Lot’s Wife’s Pond. Start off with Diana’s Peak for the most exquisite view of the island and head over to Lot’s Wife’s Pond for a dip in the rock pools where you will feel like you’re being dropped into a fish tank. Pack a picnic as this is a great spot to wind down before heading back to town. A lovely lady by the name of Debbie takes care of this gem, and she will give you a guided tour around this Victorian homestead which has been the residence of all past Governors. There are beautiful works of art and antiques such as wax statues and treasured century-old cloths. Grab a selfie with Jonathon the tortoise, reputed to be over 185 years old. Every visitor must climb the 699 steps that make up Jacob’s Ladder which goes up the side of Ladder Hill leading from Jamestown to Ladder Hill Fort and the suburb of Half Tree Hollow. Look out for the terraces of Mantis St Helena as you take in the magnificent views over Jamestown and the valley. Upon conquering this trying ascent you are eligible for a certificate from the museum where you can purchase memorabilia and take in the tapestry of the well-preserved history of the island. As the day cools down and the town comes back to life, you can head down to the Mule yard for sundowners. Here, you will find the island’s workforce ending off the day with a drink and stories of the week’s work. Whether with a group of friends are solo, you will get to share an ale and tales of your experience with the Saints. Rise with the sun and go for an early morning snorkel off the rocks in James Bay to discover the Papanui wreck which bustles with unique marine life and coral. After your dip have breakfast on the Mantis St Helena Terrace…look back with pride on your photos and the memories you have made as you tick this life-affirming experience off your bucket-list. Check out at Mantis St Helena is at 11:00. Transfers from the hotel take you through the island’s changing landscapes as you make your way to the airport. The journey from Mantis St Helena to the airport is about 20 minutes. Check in at the airport is a very relaxed affair and you’ll have time to grab a St Helena coffee in the airport restaurant with your newly found friends before your fond farewells and departure. Look at your passport – you’ve now got a St Helena stamp! There are not too many of those around.